A few months ago, I wrote a column about payment by results. It generated considerable criticism, as I lavished praise on the concept and glossed over the many examples of its difficulty in practice. Having now reviewed the Chancellor’s Autumn Statement, I am reminded again of how significant government, and the expenditure it controls, is to the economy. Although government spending is set to fall from 45 per cent of gross domestic product in 2010 to 40 per cent, its importance remains considerable. There have been numerous attempts to reform central government spending. The Social Value Act was meant to ensure that the "value to society" in government contracts was considered. Social Impact Bonds were advocated as a way of financing investment in innovative solutions that yielded results – the take-up has been marginal. PbR contracts, despite their intellectual appeal, remain subject to considerable criticism. My positive bias towards such reforms lies in the fact that as citizens I believe that we do not actually care about expenditure, although analysis of the Autumn Statement is about nothing else. Of greater concern is what we get for the money we spend. If health services could be improved dramatically through some innovation and the result was to cut expenditure, I reckon that people would be delighted – both with the improved services as well as the money saved. Such savings could be spent either on even better health care or other public services. I believe we care most about impact, we care about social value and we care about the results of governmental expenditure, not how much we spend—or only insofar as that affects the taxes we pay. My theory is that the focus on expenditure relates to the incentives of politicians to remain in power, which drives their prestige and future earnings power. With insufficient scrutiny of results, politicians confuse us with absurd and hard to validate claims of expenditure, and what they do spend is in areas which are likely to have the greatest political impact. An excellent example of this concerns the reaffirmed "triple-lock" on the state pension, whereby pensions rise with inflation, wages or at 2.5 per cent, whichever is the highest. This transfer of wealth from everyone to pensioners feels unaffordable, given our worsening fiscal outlook, and yet it’s good sense from a political perspective – old people vote. PbR thinking could help us out of this quandary. What if we took PbR one step further and paid our politicians per the results they achieve? Party manifestoes would contain pledges stating precisely what results they will deliver—in precise quantitative terms. For success, they could secure higher pay, and for failure they would be punished—both electorally and financially. Government ministers could do likewise, and even the backbenchers could participate in a bonus scheme. This would give the entire party an interest in the process. There would be gaming of the system, but if objectives were set too low parties would have difficulty securing votes, and if too high, bonuses would be threatened. Electoral promises and the results could be audited by an independent body which would issue a simple report card, against which politicians would be compensated. For outstanding performance, bonus payments could be very high – citizens would object less to high MP pay if parties delivered on promises. And if they failed, it would be obvious – their pay would plummet and their electoral prospects would dim. I fail to see why our elected public servants should be immune from such contracts. Do I expect them? Don’t hold your breath. 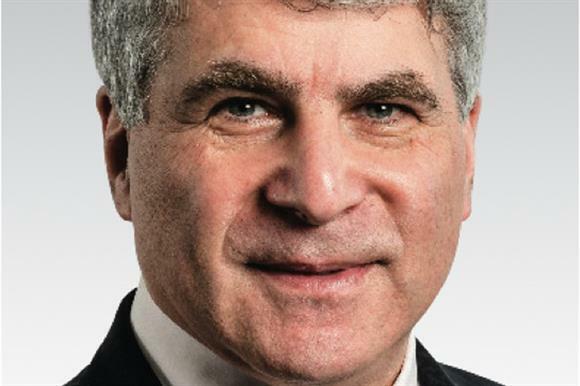 Rodney Schwartz: Does profit with purpose offer something unique?